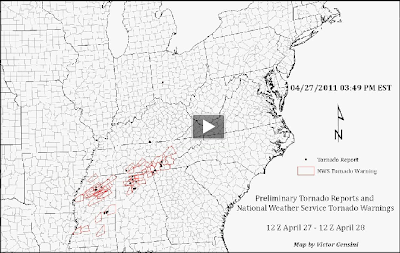 Okay, this is my last animation for this incredible tornado outbreak. Amazing to see how the surface winds remain southerly, contributing to substantial clockwise turning hodographs. 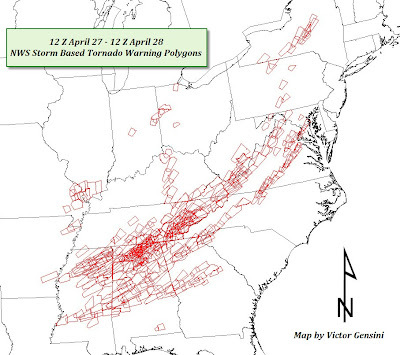 Quite a remarkable job by the National Weather Service local offices throughout this event. Weather Surveillance Radar WSR 88-D (88 is for 1988, the year it began being implemented; D is for Doppler) is the primary nowcasting tool used to issue severe thunderstorm and tornado warnings for meteorologists working at local National Weather service offices. It is a vital infrastructure that has saved countless lives. 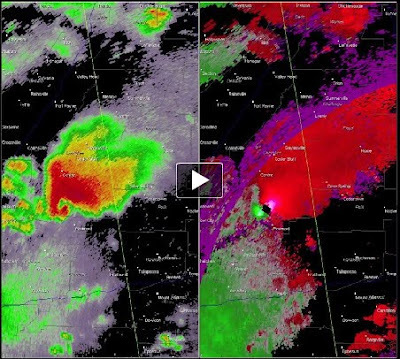 Below I have provided an animation of a moving-window radar view of a very long-track supercell that originated in Mississippi before finally decaying in North Carolina. 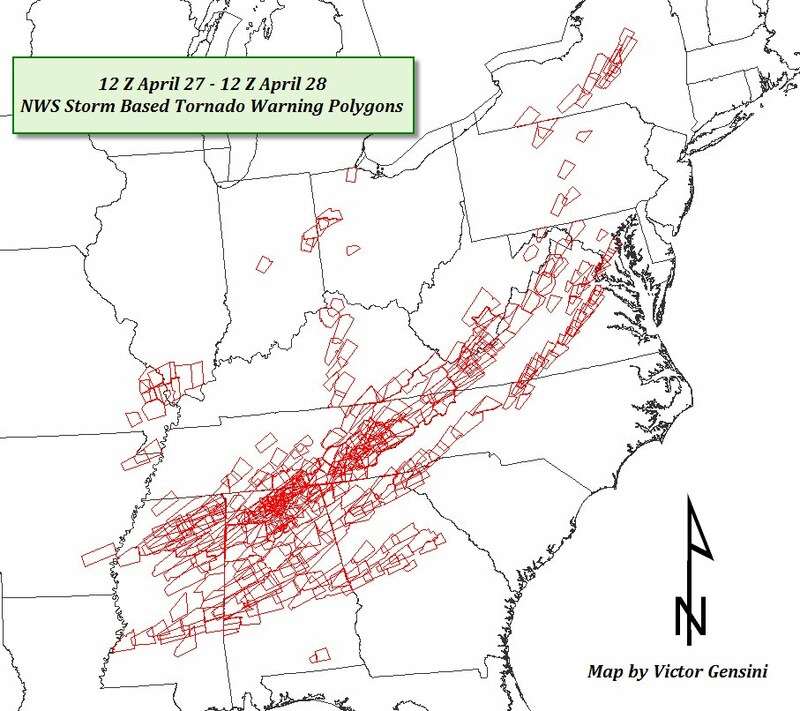 While it is not clear yet if the storm was producing a tornado throughout its entire life, it will certainly go down in history as one of the longest track supercells ever! Base reflectivity is shown on the left, and storm-relative velocity on the right. It is important to keep in mind that as the storm is moving, the altitude at which the radar beam is sampling is constantly changing. This is especially important when the storm gets far away from the radar site. Enjoy, and please respect copyrights. 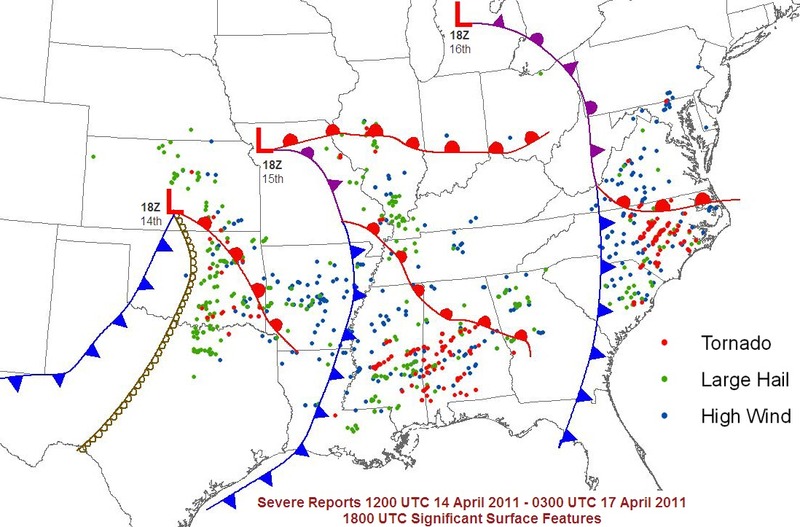 Meteorologically speaking, this system was amazing. 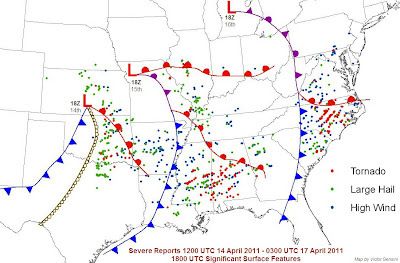 I don't have time to go into further detail at the moment, but I have annotated a surface weather map of significant surface features and severe reports from the three-day event.